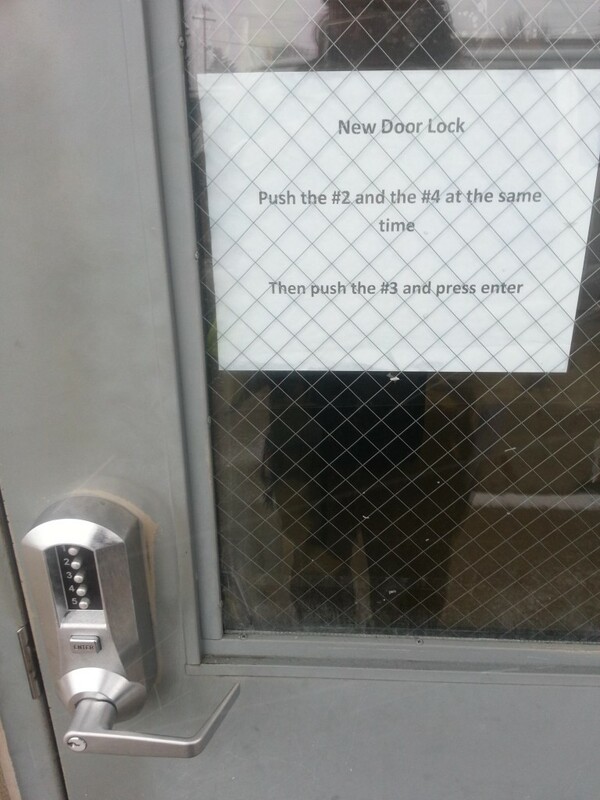 I think that’s the default “password” for that type of “lock”, too. I encountered two of these in the late ’80s with that same password. The first place I ever worked was exactly the same! Ps. Not too sure how secure it is to display the ‘password’ just above the door you are wanting to be kept locked! !